Although the formality of the Electoral College nomination procedure was still being followed, the essential function of the system was quickly lost. The spirit of the constitutionally defined instruction which went to great lengths to make sure that Electors would be independent of government control and free from outside influence was totally ignored. 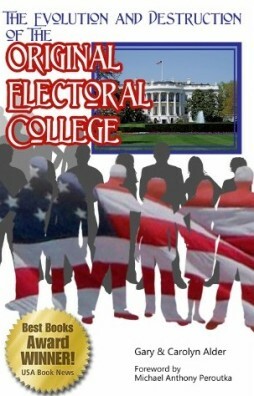 Rather than relying upon the Electors to nominate the best individuals possible, the political factions were trying to use the Electors to force the final selection of their party’s candidate. Making the final choice for President was not a constitutionally mandated prerogative of the Electors. In addition to this fact, nowhere in the Constitution were political factions or parties authorized or even mentioned. Since the nomination function of the Electors was being usurped by the political parties, there appeared to be no other purpose for the Electors to exist than to make the final choice of the President. Rather than being independent, the Electors had become pawns in a political party process.